Italian Steak Marinade and how to cook steakhouse quality steaks at home in the cast iron skillet! They taste better than the restaurant. We never eat steak out! We love to cook steaks at home. We are always looking for new marinades. We usually just season them with Dale's Steak Seasoning. It is simple and we love the flavor. Last week, we changed up the marinade a bit and added some Italian dressing and Worcestershire sauce to the Dale's. It was AWESOME! The flavor was great! 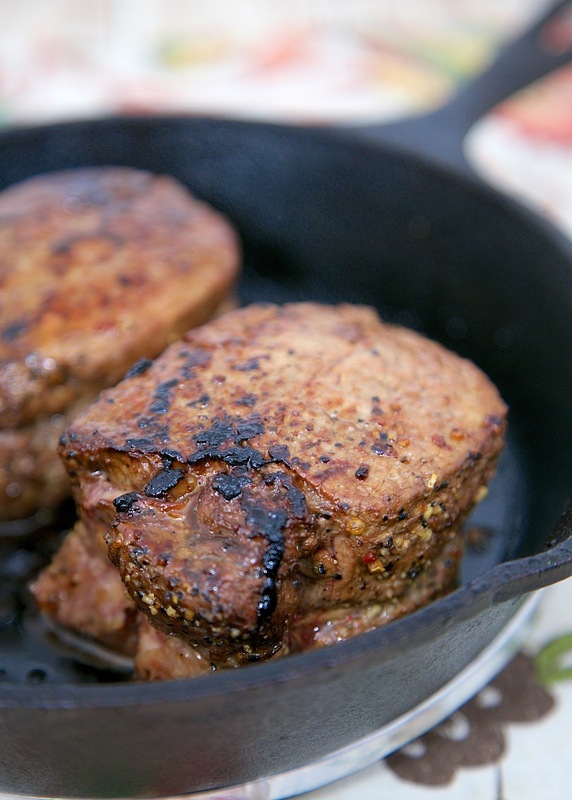 It's been pretty cold outside at night, so we cooked these steaks in a cast iron skillet. They were honestly better (and quicker) than grilling. The steaks take about 20 minutes to cook to medium-rare. We gobbled these up. I can not wait to make these again! Whisk together dressing, Dale's, Worcestershire and pepper. Pour over steaks. Refrigerate at least one hour to overnight, turning occasionally. Remove filets from marinade. Grill or cook in skillet. Skillet cooking method follows. Heat an ovenproof skillet on medium-high heat for 5 minutes. Sear filets in oil on one side for 4-5 minutes. Turn them over, place the pan in the oven and roast to desired doneness. Rare 5 minutes; Medium-Rare 7 minutes; Medium 9 minutes. 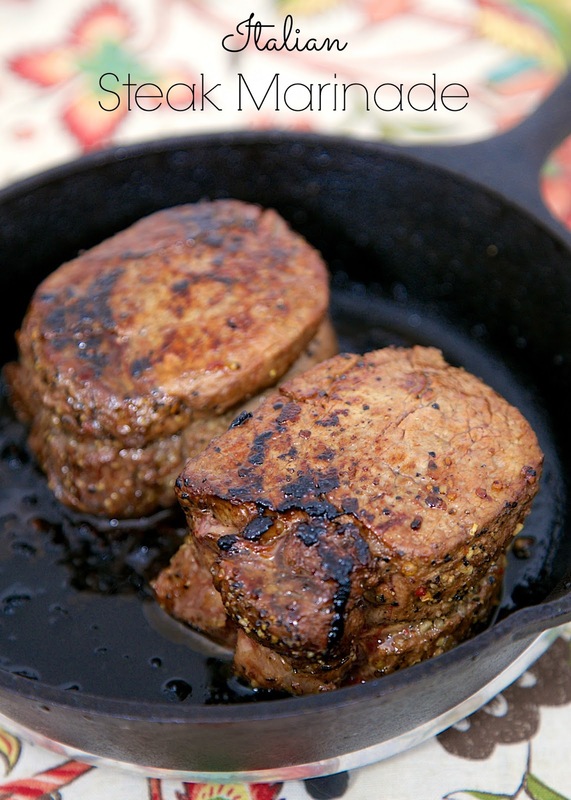 Allow filets to rest for 5 minutes before serving. The marinade sounds very good and I could dig into one of those steaks. I always cook steaks in my iron skillet. I'll have to try this marinade next time!